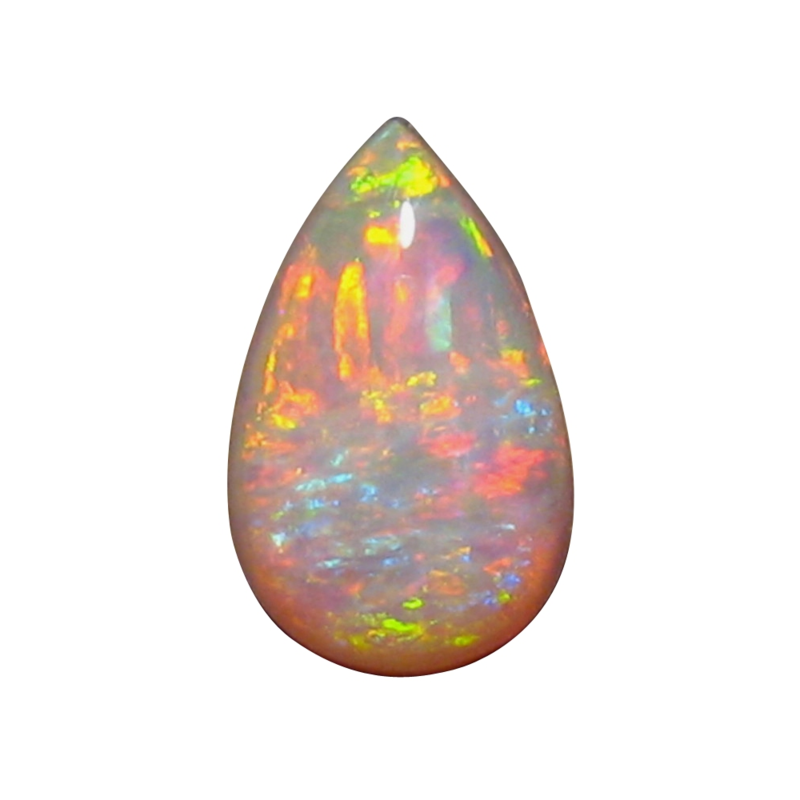 A 3 carat Crystal Opal cut to a pear showing beautiful bright colors and is ready to set in jewelry. 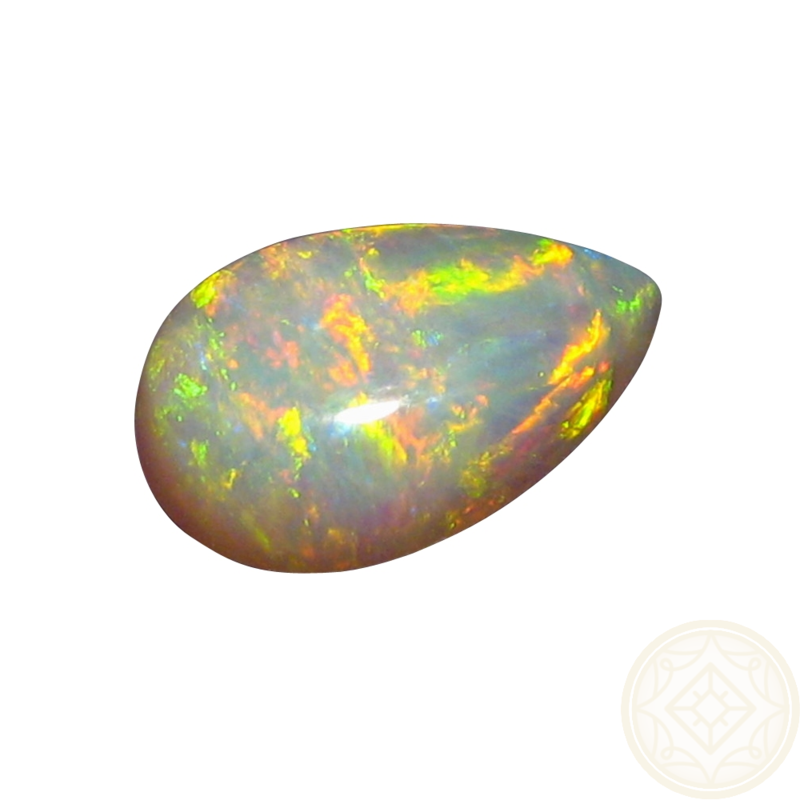 A colorful Crystal Opal of good size and very bright now ready to set in jewelry. Mined at Coober Pedy, the Opal is just over 3 carats in weight and has a stunning mix of Red, Blue, Yellow and Green and measures about half an inch long. 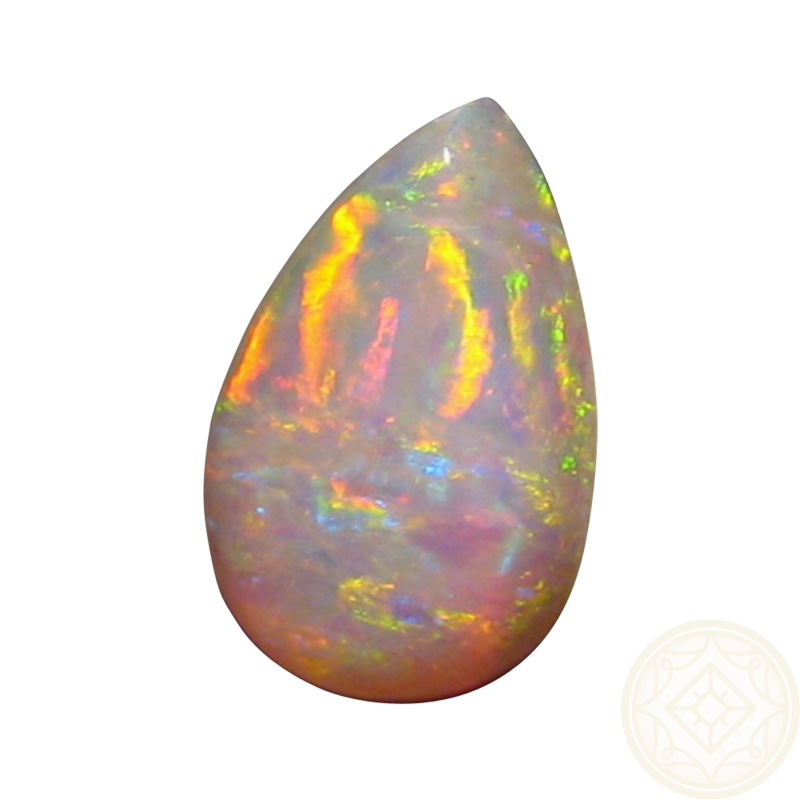 This beautiful Opal would be stunning in either a Custom Made pendant or ring and you can inquire through this product if you would like this Opal mounted or you have any questions about setting this stone. Please allow at least two business days for delivery as this is part of a retired miners stock.